Ryan has been involved with basketball for 15 plus years, starting in grade four as part of the Future Stars Skill development program and continuing to play for various club and high school teams until graduating from Bishop’s College in 2012. He continues playing today as a member of the St. John’s Amateur Basketball Association (SJABA). 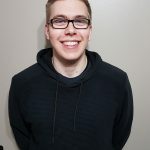 New to coaching having only started in September 2018, Ryan uses his experience as a player, passion for the sport and familiarity with the St. Anthony Basketball coaching model, to teach the next group of Newfoundland basketball players how to play the game the right way. Ryan Graduated with a Bachelor of Business Administration from Memorial University in 2017 and currently coaches multiple programs with both St. Anthony Basketball and Warriors Basketball.